We are counting down the days until our next Cares Night Out. Trust us, you won't want to miss this one. Join us for a delicious dinner at Bistrot Leo on Monday, November 5th. Come for Chef Brian Loiacono's French-inspired dishes, stay for the irresistibly classic bistro flare. 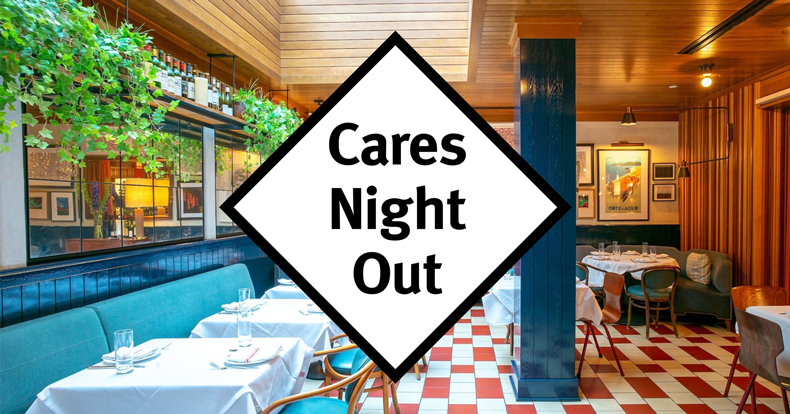 Bistrot Leo will donate a generous 20% of sales from patrons affiliated with New York Cares – so spread the word and book a table! To make a reservation visit their OpenTable page here. Be sure to mention "New York Cares" in the special requests section to make sure your meal gets counted. Hope you can make it!